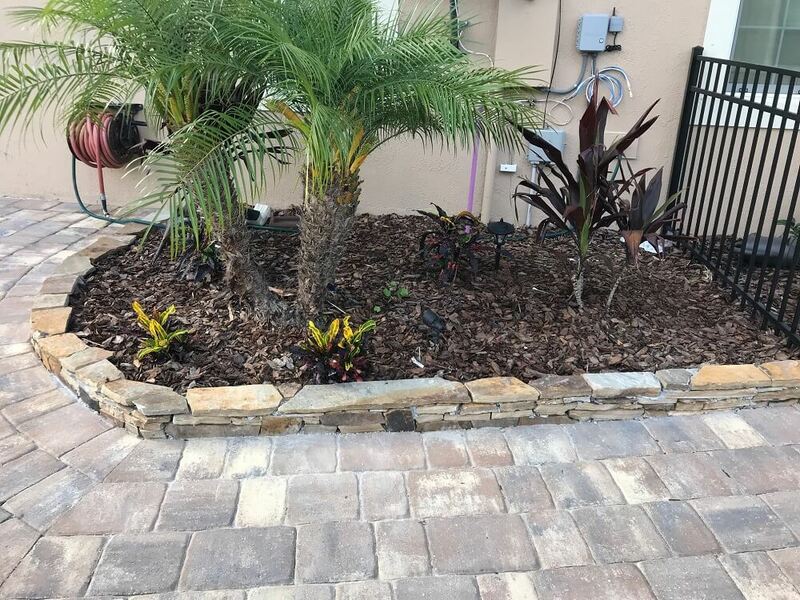 16 Pallet Sod install, Coconut Palm install and Mulch. 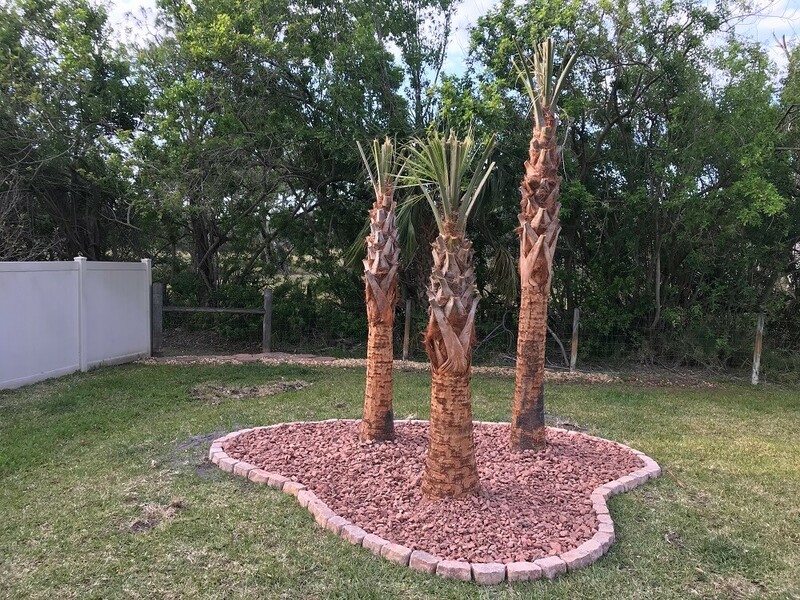 Complete tear out and landscape. 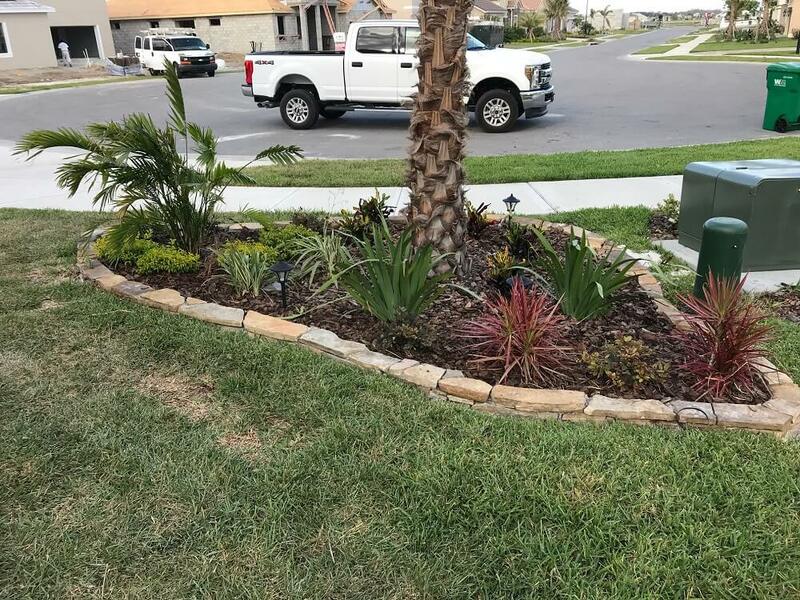 Here we cleaned out the plant beds such as weeds and debris, trimmed all the overgrown hedges and installed black mulch. 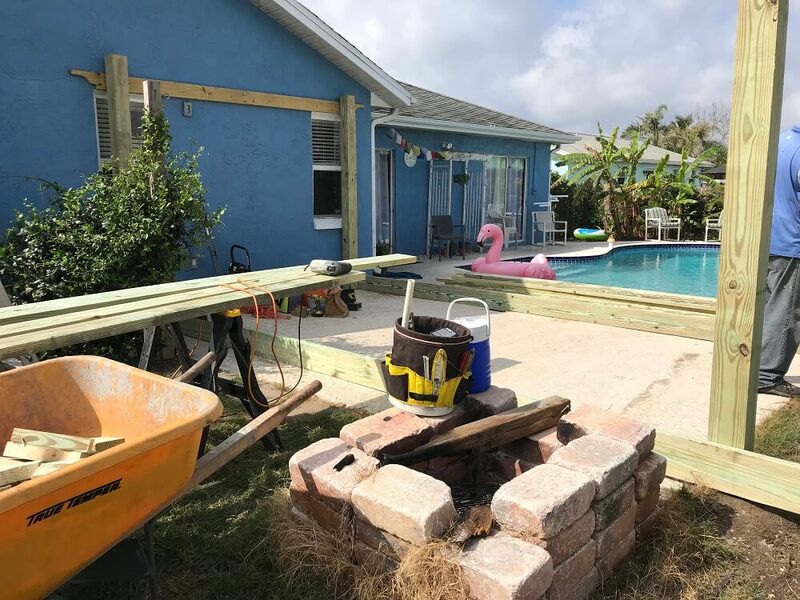 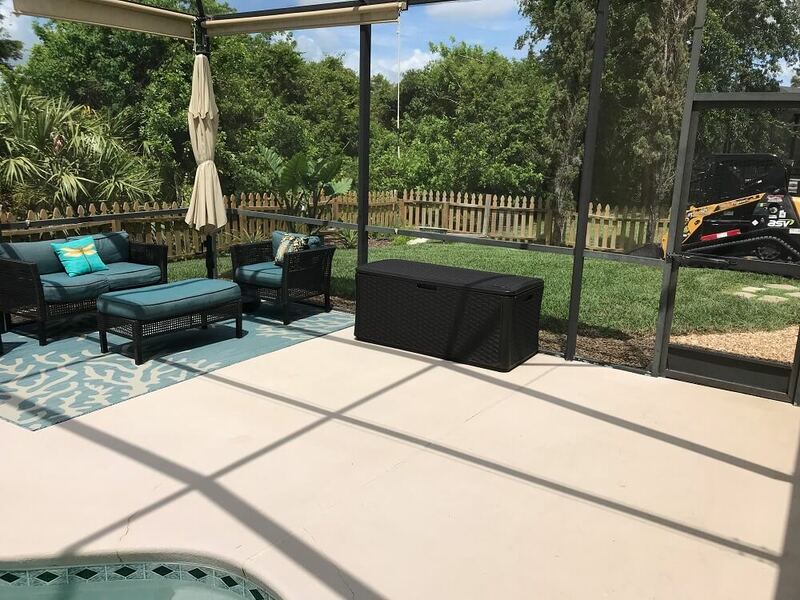 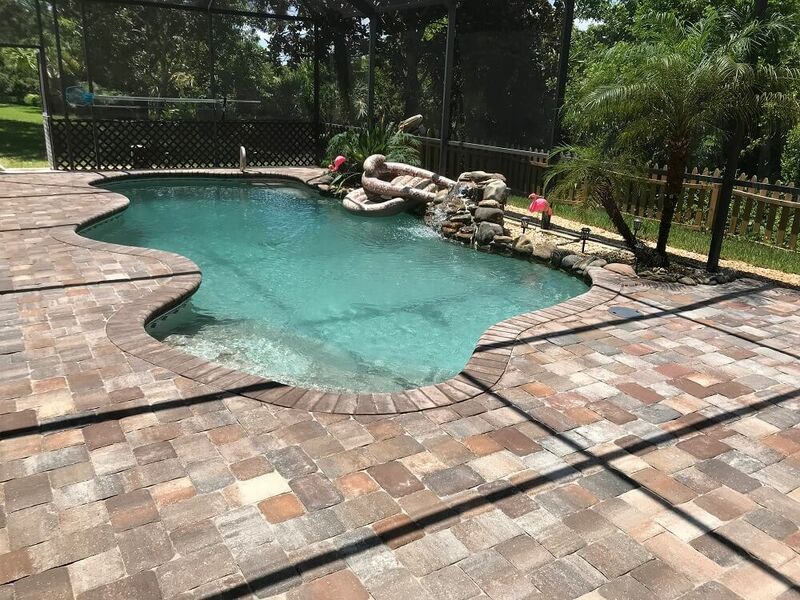 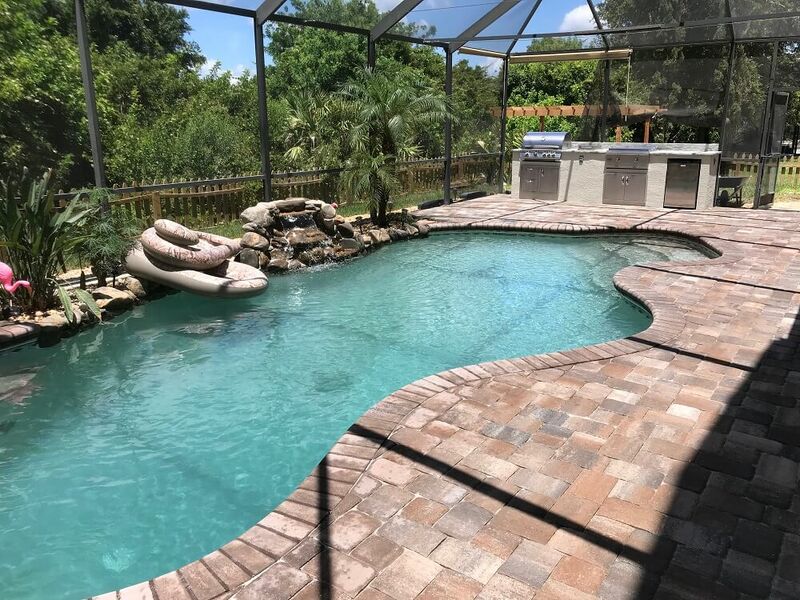 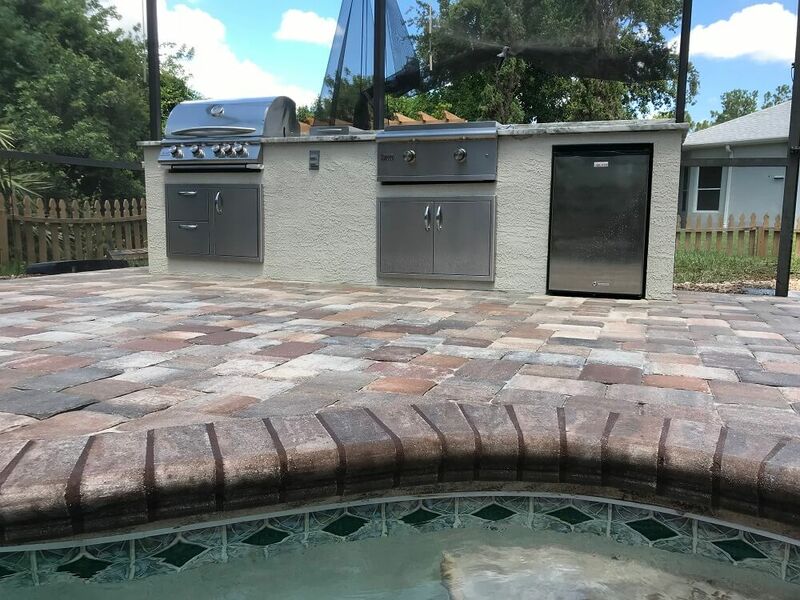 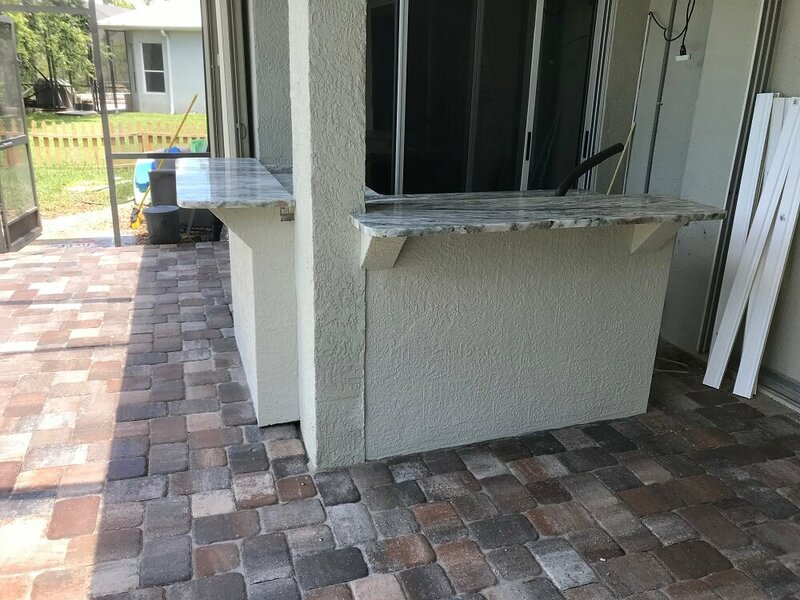 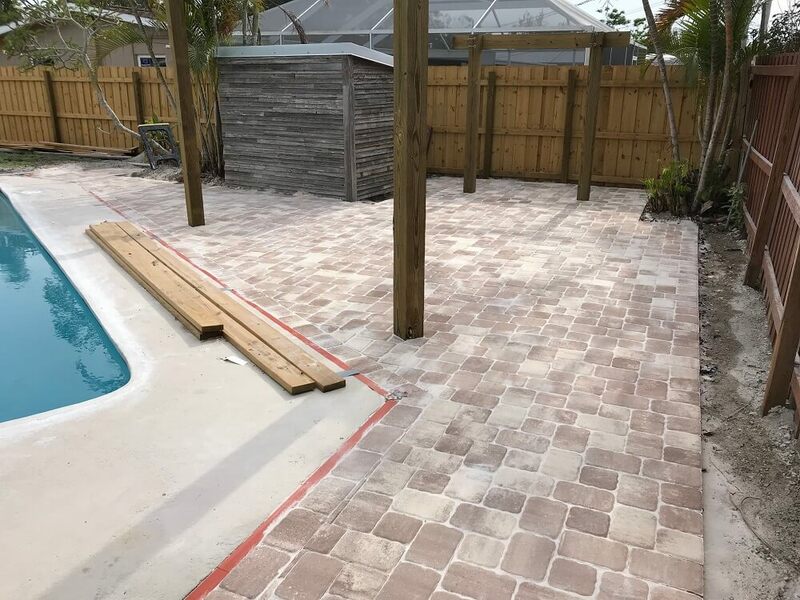 We installed 20 cubic yards of crushed coquina to create a beach like hang out area in the back yard with fire pit and Bar-B-Q pad included! 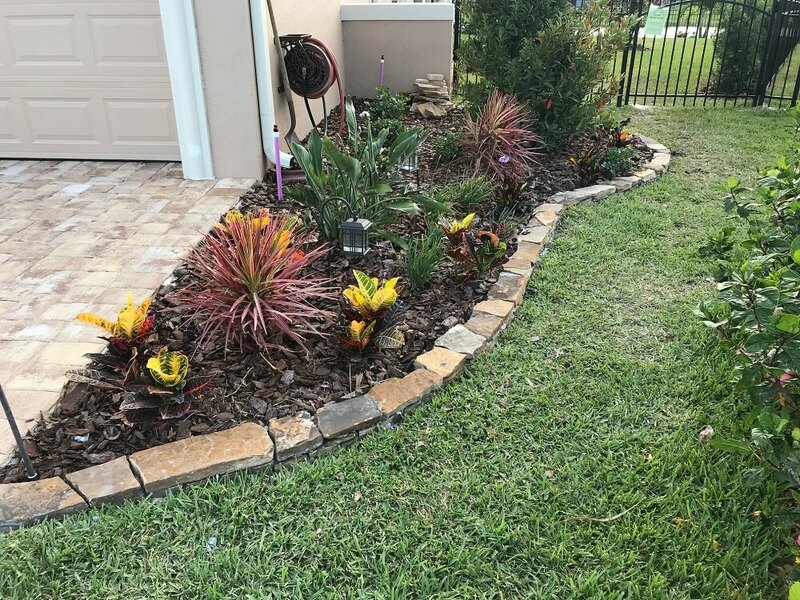 them with healthy ones and mulch installation. 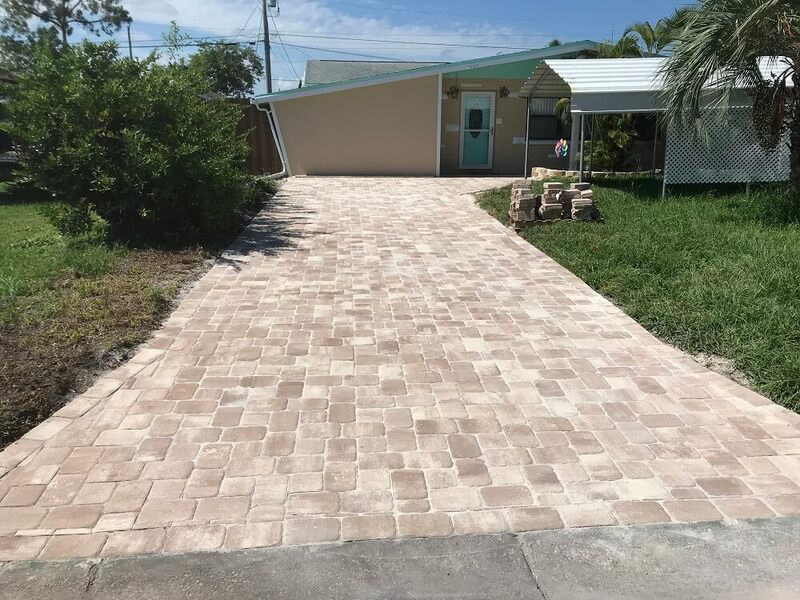 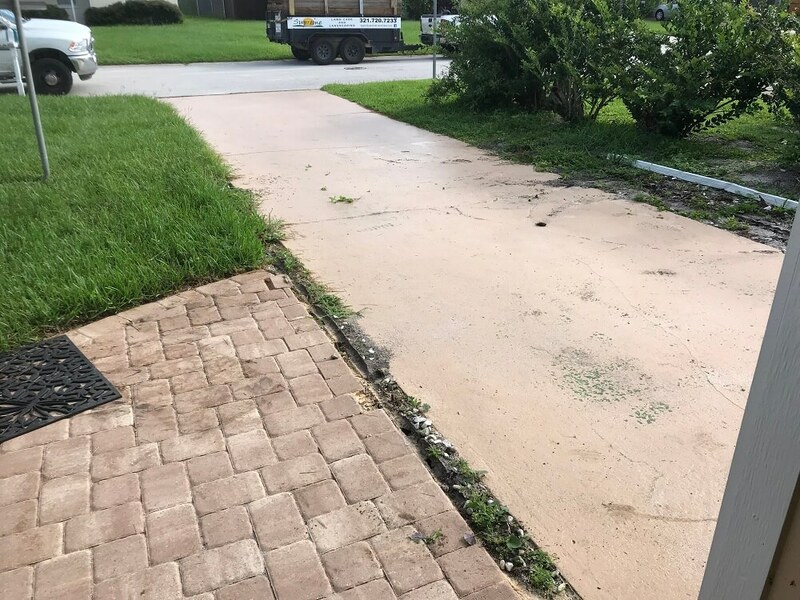 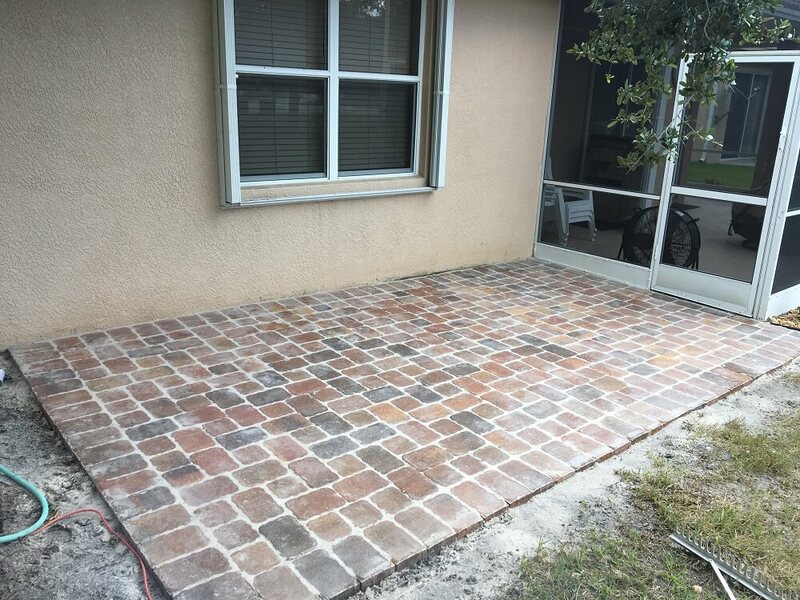 This was a complete removal of the old concrete and new paver installation for front patio and walkway. 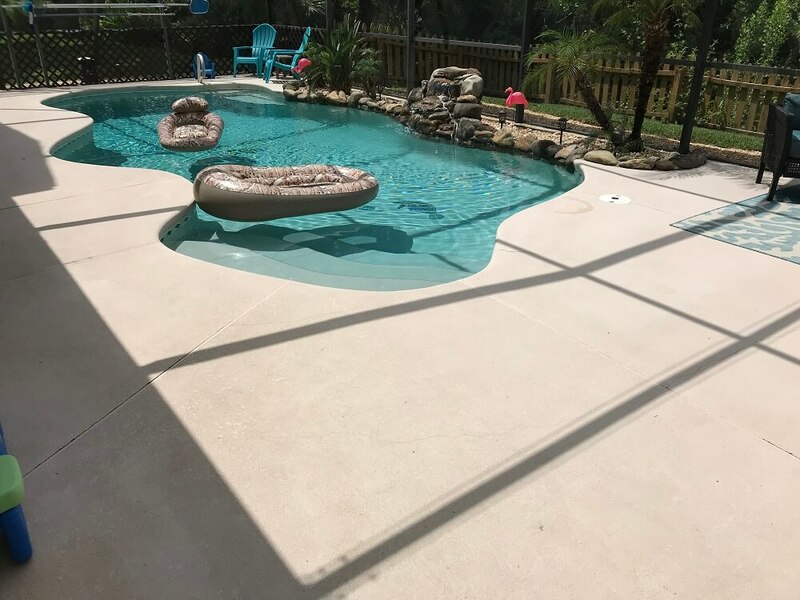 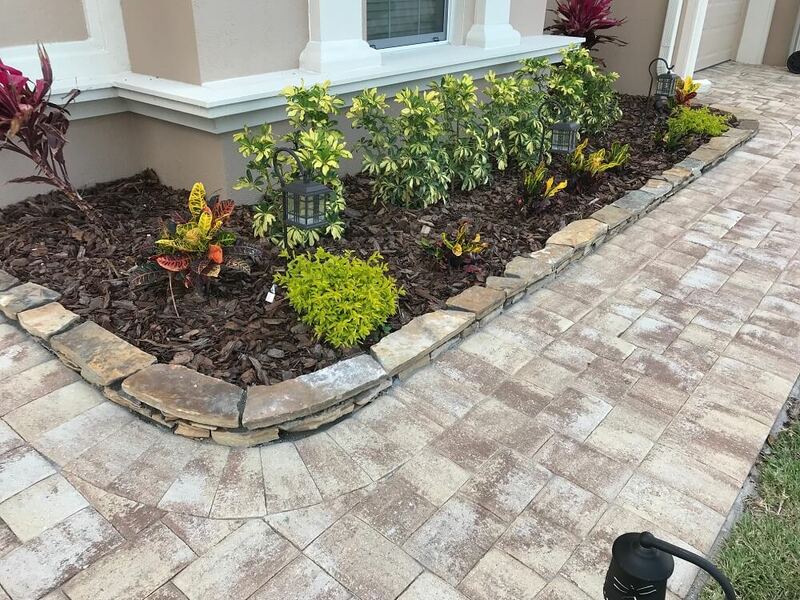 Crushed Coquina Install and landscaping. 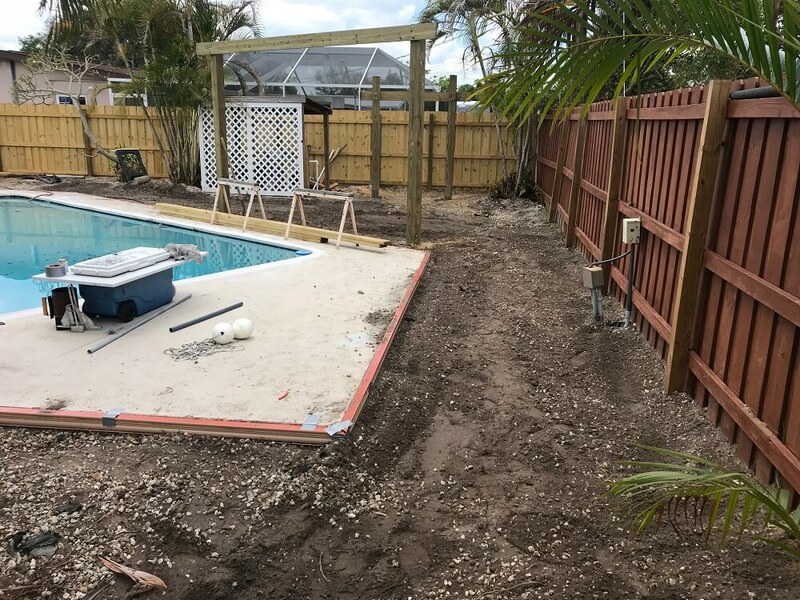 Sod installation after pool install. 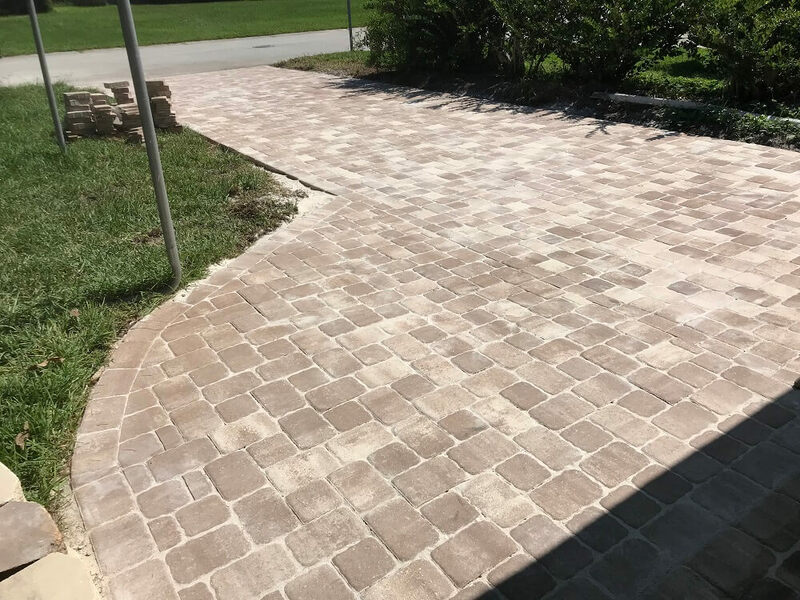 This is a paver installation running along the back side of a house with an exterior shower install. 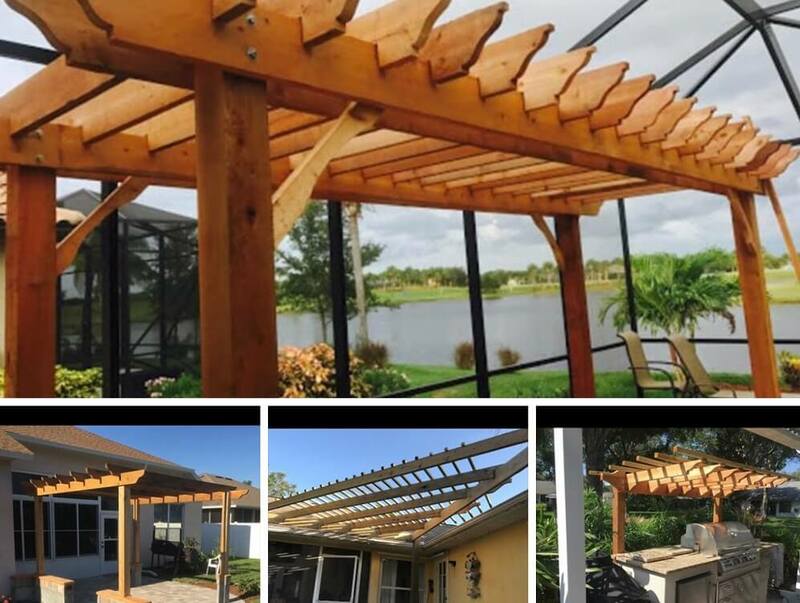 This project consisted of the complete removal of five oak trees. 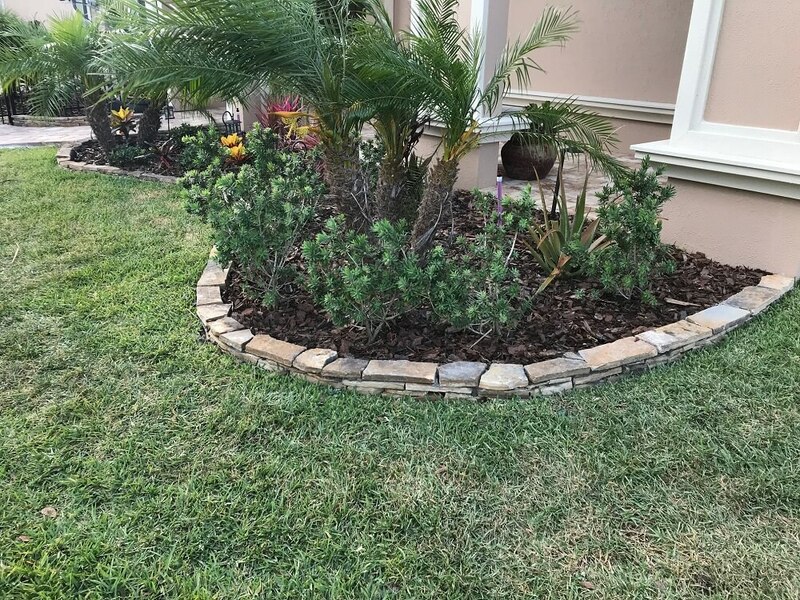 Sod install, hardscape and tree replacement installation and landscaping. 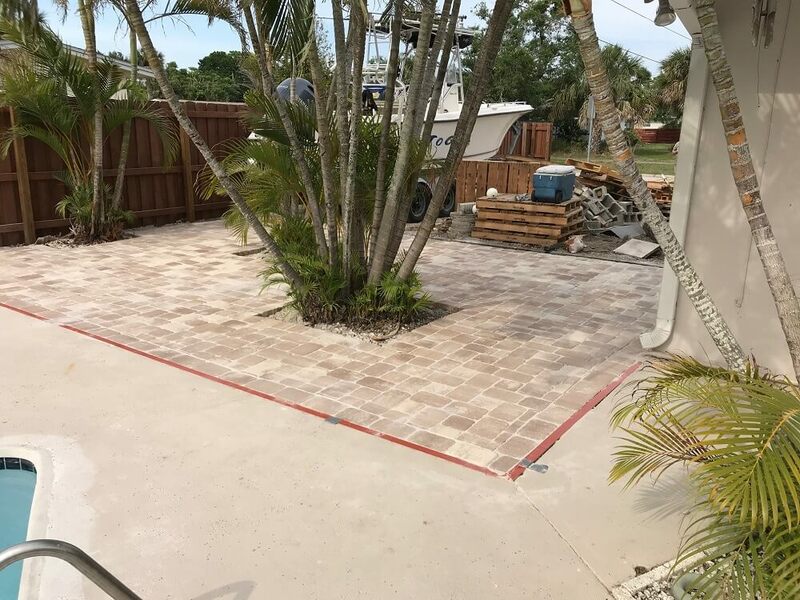 This project involved installing a radius paver walkway and paver platform. 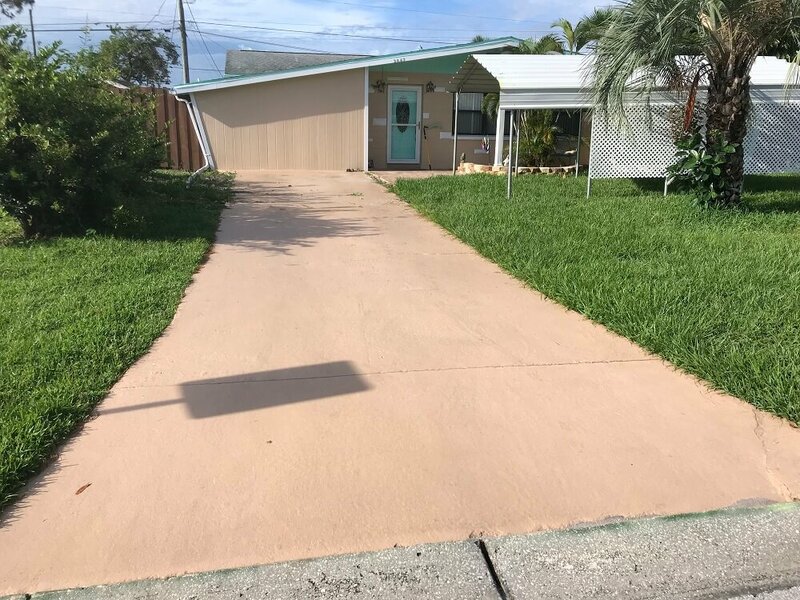 added the sand and tamped once again to even the surface. 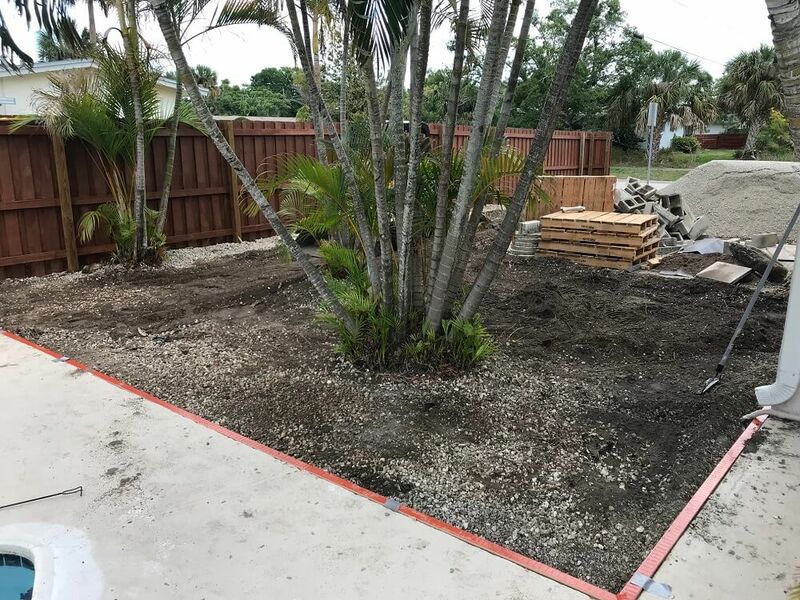 We then cut out the edges of the grass to allow for landscaping along the walkway and platform area. 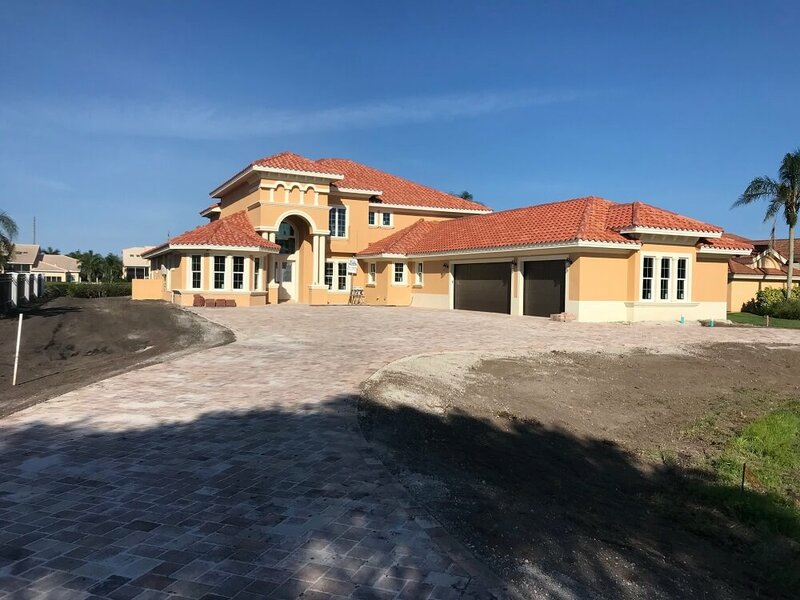 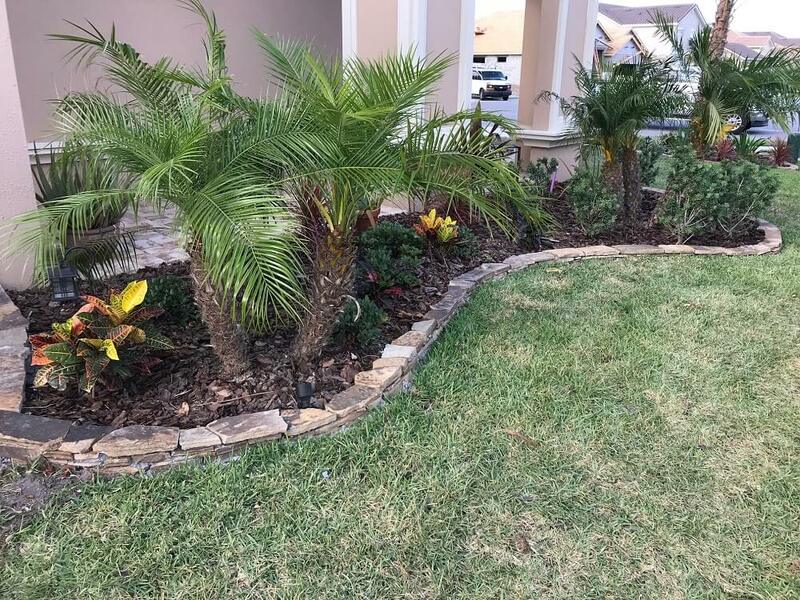 This project envolved trimming 20 tall palm trees and a large row of seagrapes. 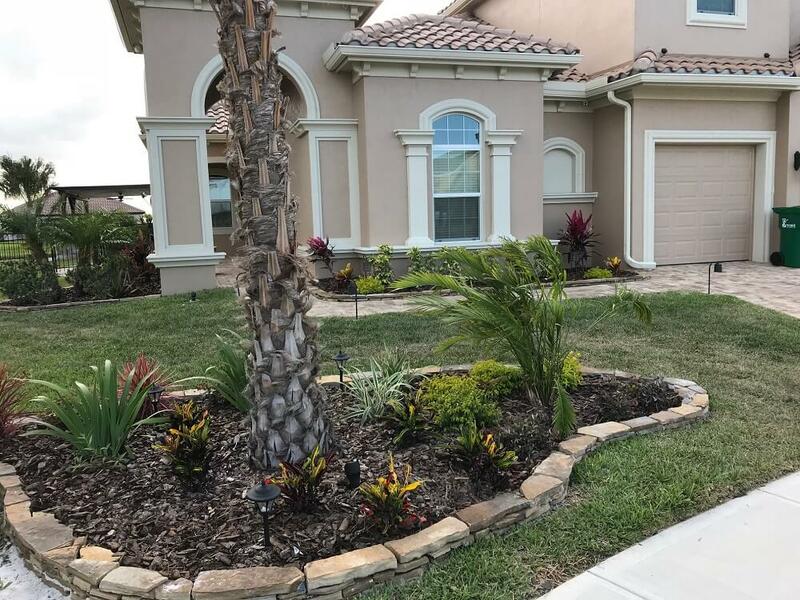 This particular project involved the complete removal of existing grass and replacing it with Bahia and landscaping. 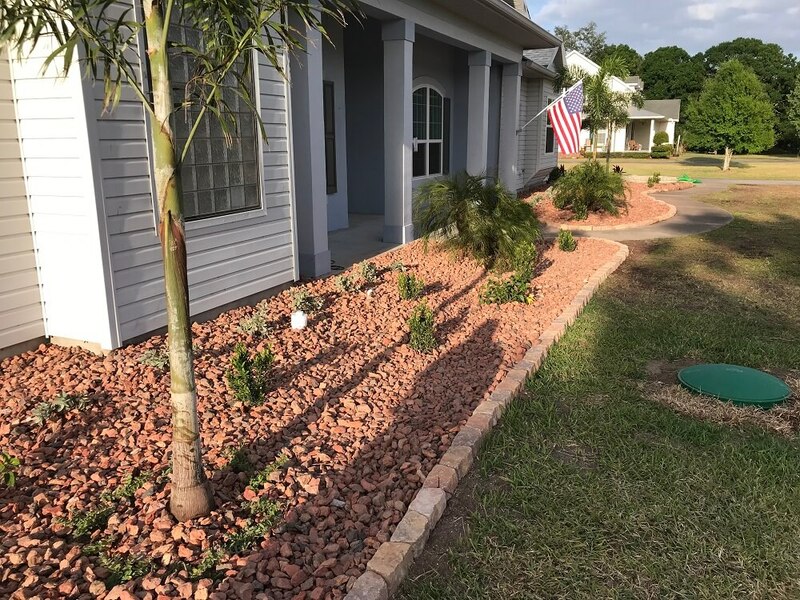 We also added 3 square yards of 1-1/2 inch white river rock with landscaping fabric in all the plant beds and added 3 garden boxes in the back yard. 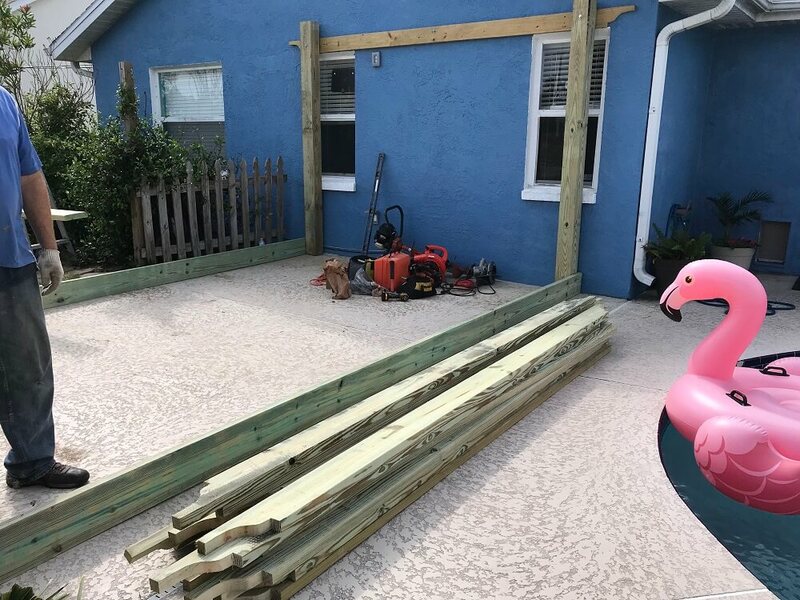 We rolled the bahia with a double barrel roller to allow a smoother surface for mowing and added more landscaping for extra appeal. 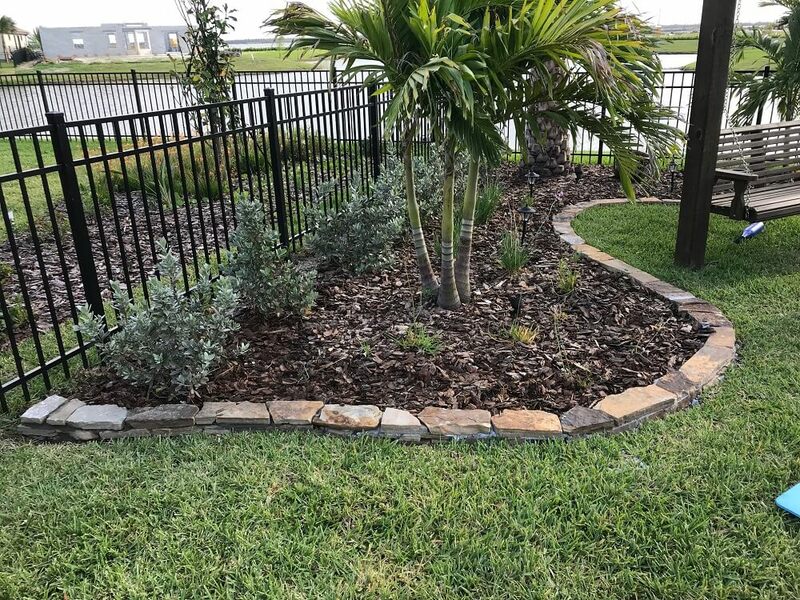 This project involved landscaping, tearing out old overgrown hedges and plants, minimizing plant beds, adding white river rock and border, and installing a low maintenance landscape design. 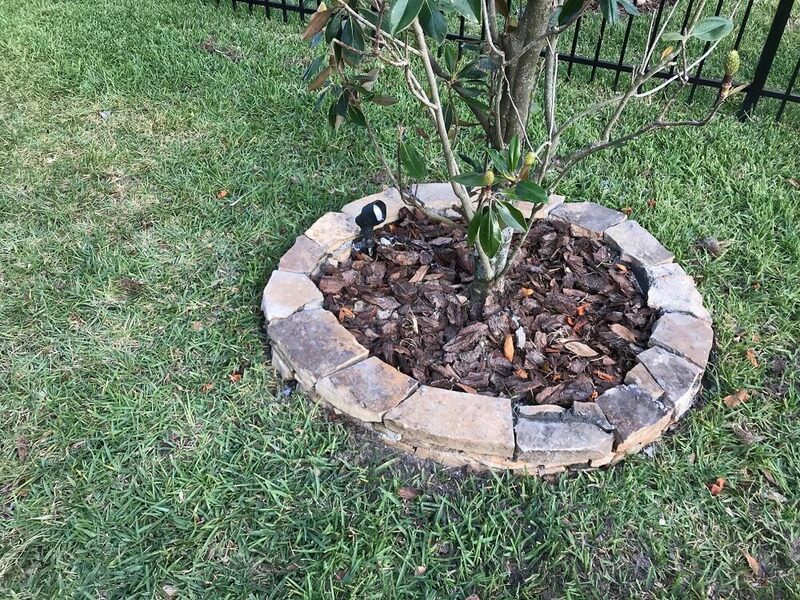 This is a landscaping install at a local attorneys office. 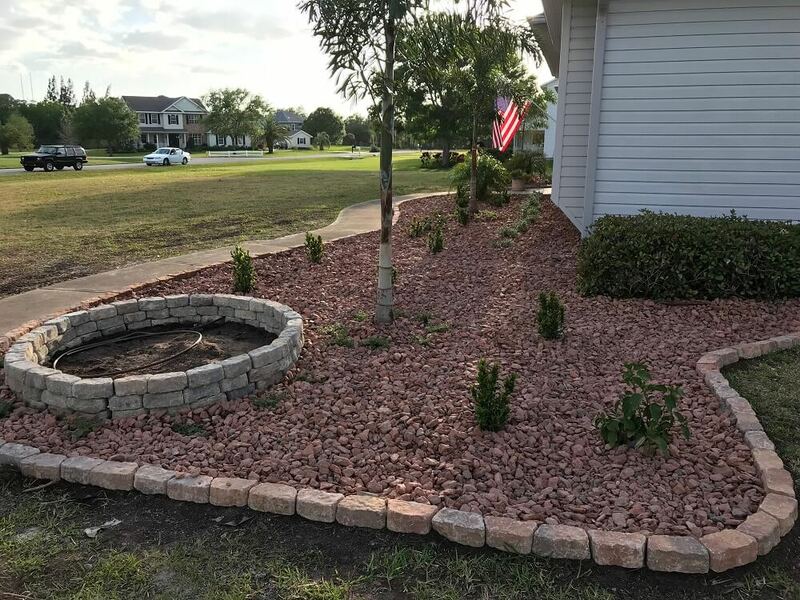 We installed 60 Potacarpus and 8 Crepe Myrtles including annuals and mulch and new curbing. 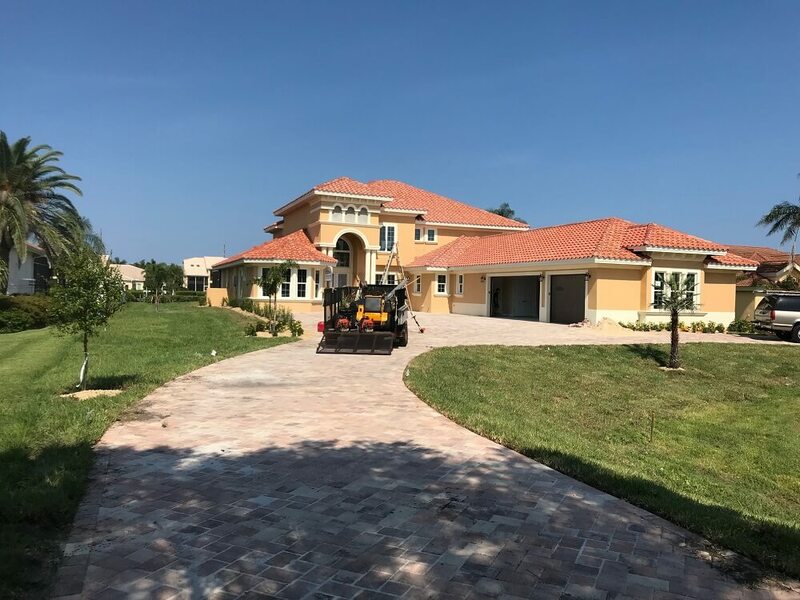 This is a property located directly on the ocean where the sea grapes were over grown and obstructing the view. 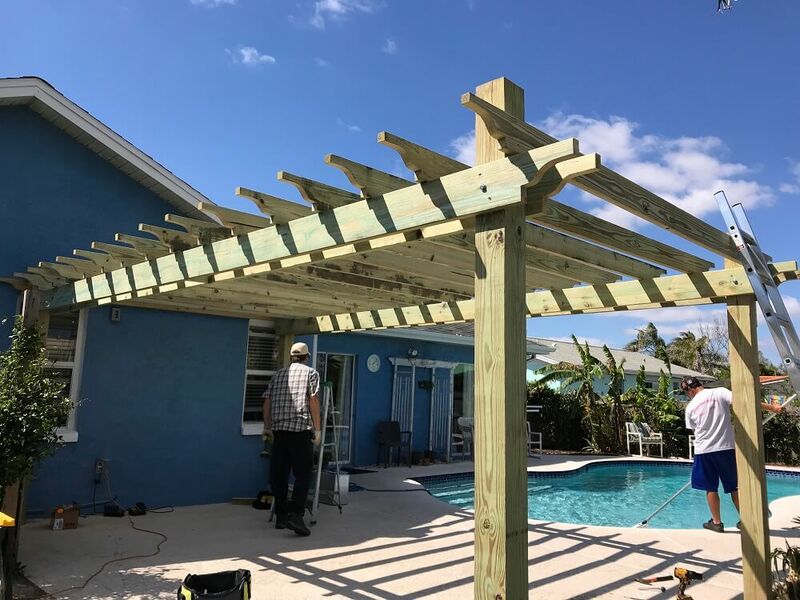 We cut back the sea grapes so that the client can enjoy his ocean side view. 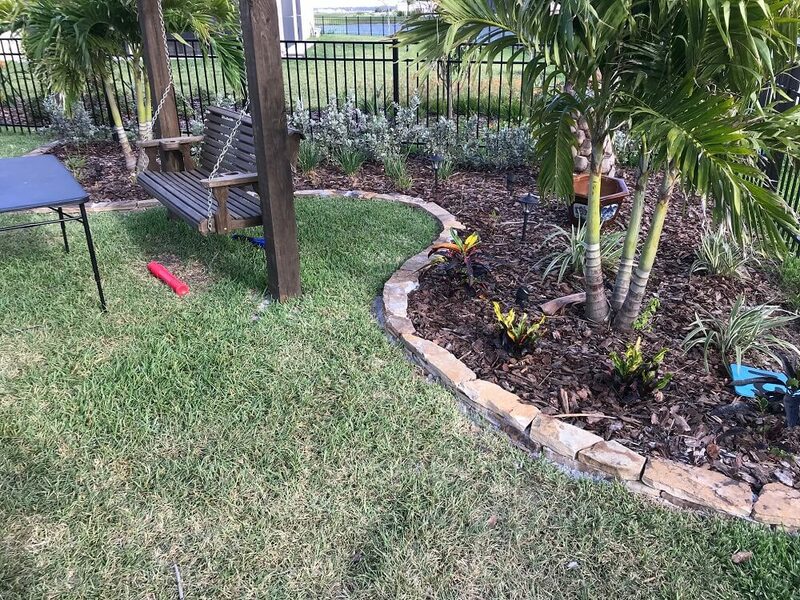 This client had us remove weeds and debris and add fresh mulch which later we installed landscaping. 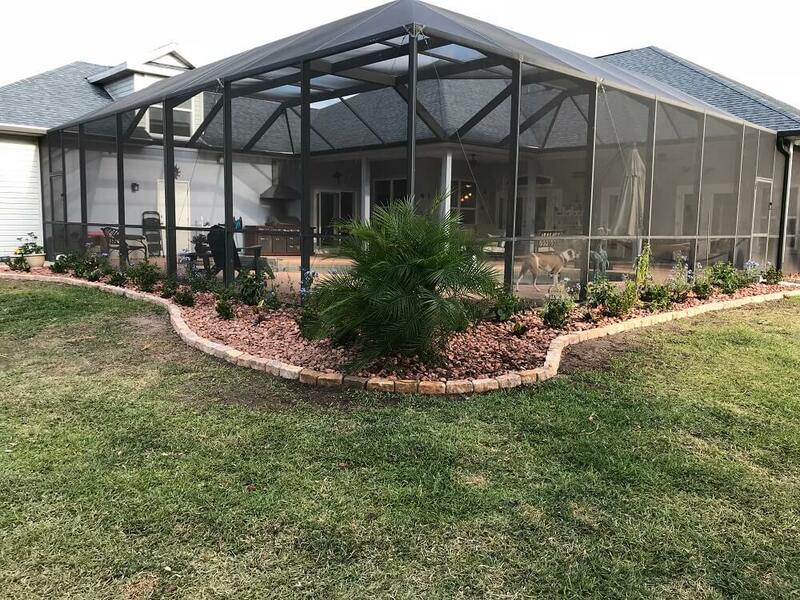 This is an area were the yard was destroyed by chinch bugs. 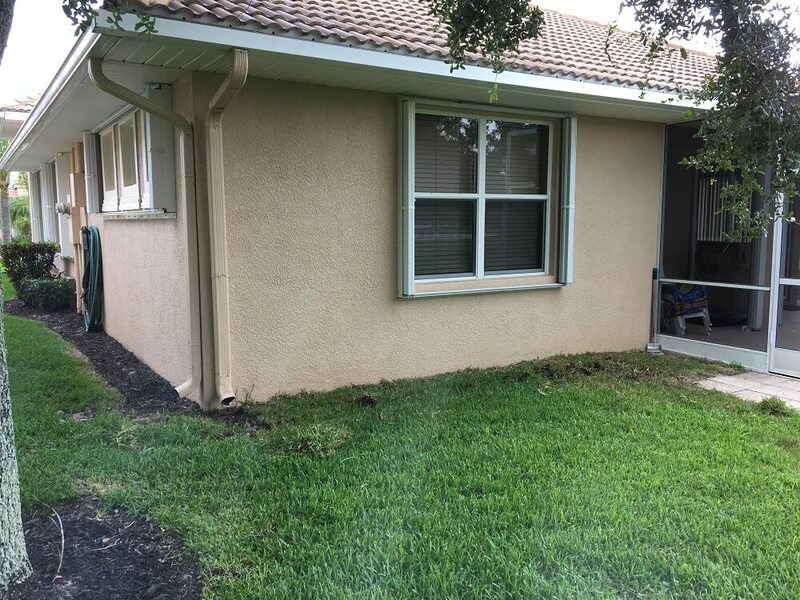 We cut out the dead grass and replaced it with fresh sod.